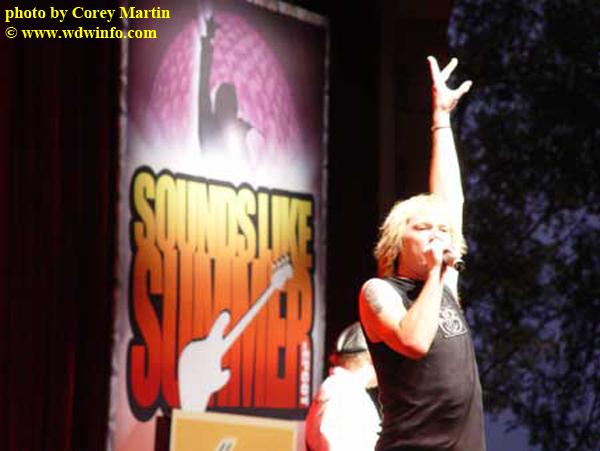 During the hot and sticky Florida summer, Epcot transforms into a rock venue with its “Sounds Like Summer” concert series. 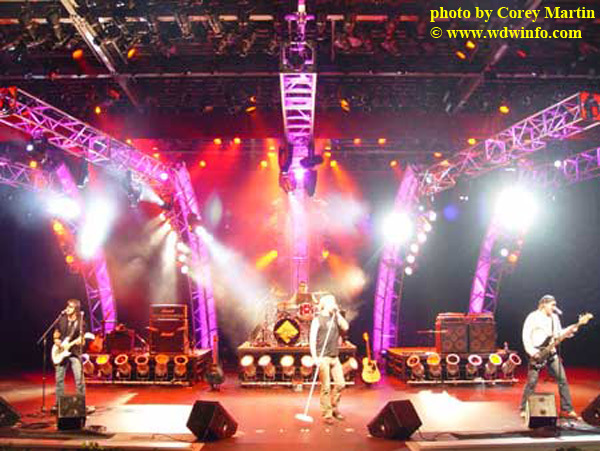 Every evening from June 12 – July 30th the open-air America Gardens Theatre hosts rock icon tribute bands with 3 performances daily. Bands play tribute to classic acts such as the Eagles, the Bee Gees, Heart, Journey, Janet Jackson, and U2. 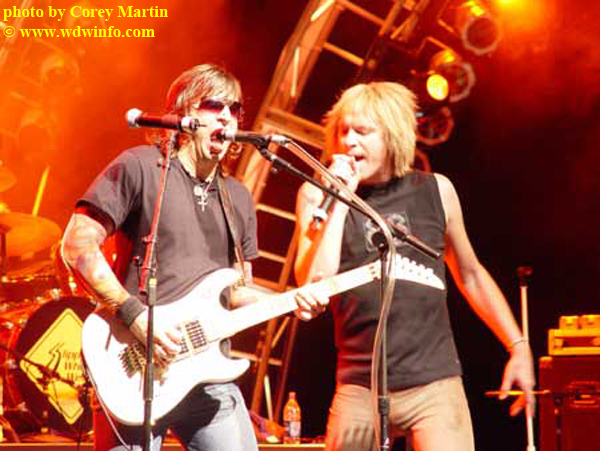 Continue after the break to read and listen to my interview with the front man for one of the acts, Jason Morey, lead singer for the band Slippery When Wet – The Ultimate Bon Jovi Tribute. Click here to listen to the complete interview with Slippery When Wet’s Jason Morey. 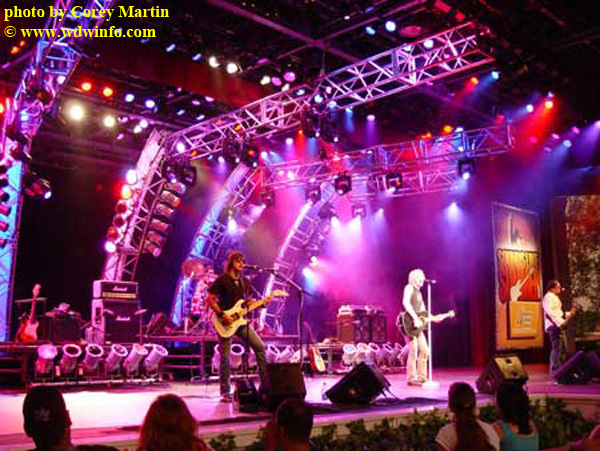 This is Slippery When Wet’s 5th consecutive year playing in Epcot’s “Sounds Like Summer” series. Growing up in Tampa, Jason said he was always enamored by Disney and excited when they approached the band about playing in the series. 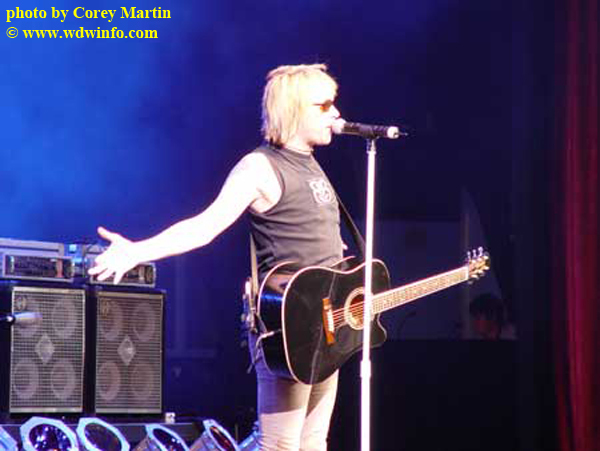 The band started in the early to mid-90’s touring the Southeast with a couple of Bon Jovi songs in their set. 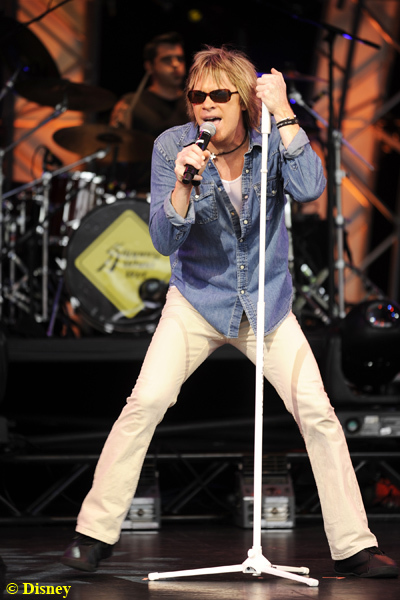 During the shows, people commented how much Jason resembled Jon Bon Jovi – especially after his hairdresser put more and more highlights in his hair. One night, Jason attended comedian Dave Chappelle’s show, and was invited backstage following the performance. When Dave Chappelle found out Jason was not Jon Bon Jovi he said, “Man, you got something there!” A lightbulb clicked, and three months later the Slippery When Wet Bon Jovi tribute show was born. 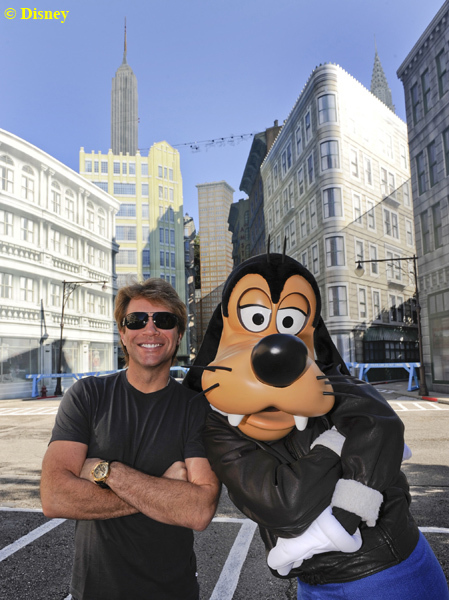 Image: Singer Jon Bon Jovi poses with Goofy at Disney’s Hollywood Studios. The original band Bon Jovi is aware of the Slippery When Wet tribute act, and in 2007, Slippery When Wet received an official stamp of approval from Bon Jovi to continue the tribute show. Jason mentioned, “As far as we know, we’re the only band that’s got it” – an official sanction from Bon Jovi. While Jason loves the Disney theme parks, and comes 3-4 times a year on his own with his family, he mentioned the Slippery When Wet performances are so grueling in the heat under the lights that by the time they finish at 9 pm they’re “zombies”, and the idea of waking up the next morning to tackle a theme park in the heat is not at the top of his list. He does say they’ll make it into the park though to hit Rock ‘n’ Roller Coaster, Space Mountain, etc. I want to thank Jason Morey, lead singer for Slippery When Wet – the Ultimate Bon Jovi Tribute, for taking the time to chat with me. You can catch their one of their shows at 5:45, 7:00, and 8:15 pm on the American Gardens Theatre stage at the American Adventure pavilion during Epcot’s Sounds Like Summer Series June 26 – July 2.